A short speech on global warming is a public report on a common issue that the whole planet worries about now. While preparing a speech, it is crucial to use up-to-date information from reliable sources. 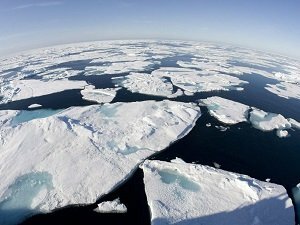 It can be rather challenging to work on the short speech on global warming such as the topic requires detailed analysis with emphasis on solutions to the problem regarding the current conditions. The environmental issue is considered to be the most important for the humanity such as it determines conditions of the future generations’ lives. Moreover, it is possible to state that this problem is complex and includes a lot of separate questions that has to be solved. In addition, the process of the global warming is one of the most dangerous natural processes of the modern word. The temperature varies over the globe changing through the centuries, and it was an ordinary course of events until human started an active influence on nature. Moreover, it is important to state that the land temperature increases faster than ocean temperature since 1979 and all these changes initiate problems with ice melting, flooding of areas, and lack of drinking water. Growing population of the Earth feels a necessity of solving these problems since the future generations will experience all negative results of the modern humankind’s activity. Besides, it is crucial to explore aspects that had led to a current situation with climate changes on the planet. The majority of surveys prove that the main reason for the global warming is such human activity as industry and trade. Also, the primary cause of the active process of global warming is rising the level of carbon dioxide in the atmosphere. Moreover, the global warming has also close interconnections with various greenhouse gasses that create the particular chemical composition of the air making conditions on the planet more and more dangerous for human health. In conclusion, it is possible to state that solving the ecological problem is one of the most discussed issues nowadays because the world community concerns about the future of our planet. There are a lot of ways of declining the carbon dioxide level in the atmosphere, but they are not enough used and popular especially in the developing countries. Moreover, it is commonly acknowledged that there is a necessity of implementing various state eco-programs that would include local and global measures. Also, people should understand that the global warming is a common problem, which concerns every person and humankind should try to improve the ecological situation on the planet.